Simple & Sincere: Paper, Paper, Paper... Free Paper! Paper, Paper, Paper... Free Paper! May in National Scrapbooking Month and Stampin' Up! has some special offers for you! 1. 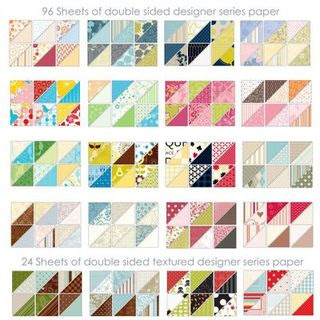 Paper Promotion: Buy ANY 3 packs of designer series paper or 12"x12" textured cardstock and get one pack FREE! 2. 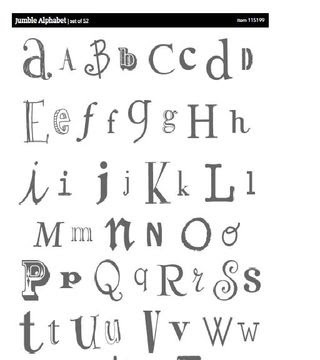 Jumble Alphabet Sneak Peek: Buy the brand-new Jumble Alphabet stamp set at 20 percent off! 3. Scrapbooking Starter Kit promotion: Start your own Stampin' Up! business for as little as $75! *Substitutable for any stamp set up to $43.95 value. Other demo benefits: amazing discounts, downline meetings, seeing the new stuff first, access to demo-only projects on the Stampin' Up! website, just to name a few! Want to know more? Contact me! A Little Bit O' Mojo + Blog Candy!